Mentally preparing athletes to compete at the highest level. These days, sports demand more than physical athleticism. In many of today's top competitive fields, sports is also a mind game. Helping professional and amateur athletes compete with the proper mental preparation is what AASP does best. 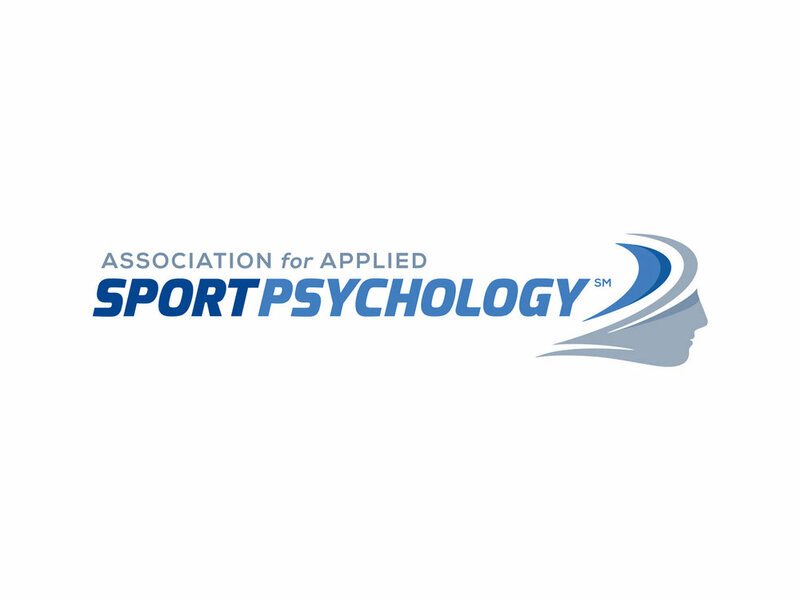 With an international membership of over 2,500 sport psychology professionals in 55 countries, this organization found itself in need of a fresh brand to better engage its members while, at the same time, positioning AASP as a distinguished and trusted authority in the field of sport psychology to anyone outside its ranks. The old logo with its swirling and aimless arrows had led to some confusion about what AASP was all about. Rather than appearing as a guiding force for mental preparation, the organization's brand felt like it didn't know which direction was up. In stark constrast, the new logo is a much clearer representation of the field of sport psychology, featuring a classic head figure and an active "swoosh" that represents the mind as the driving and stabilizing force within the psyche of an athlete. To create a figure that could represent all athletes regardless of sport, age, or gender, I took inspiration from ancient Greek and Roman sculpture to define the classic look of confidence, determination, and competitive spirit. I drew the outlines of each figure's facial profile then overlaid the lines on top of each other, bringing into focus a single profile that would serve as the starting point of the design. From there, the overall shape of the head and the athletic swooshes were added in, as well as final refinements to the facial profile. The end result is a dynamic icon with strong forward momentum that carries with it a bold, slanted wordmark in its wake. The full brandmark together creates the illusion of motion and an encompassing sphere of mental energy. AASP now has a brandmark that can effectively communicate the specialized focus of its unique territory. Furthermore, the brand now "looks the part" for a sports-related association and is better positioned to achieve consumer brand recognition – an important step in furthering the reach and reputation of the organization with the general public. Resilient, mentally tough, and impervious to their surroundings.